It’s been an early winter in Ottawa. The community associations were at work early to prepare the outdoor rinks. The city rinks with refrigeration coils opened early. The changing shed has been set up at the Lansdowne rink. Downtown at City Hall, the Ottawa Senators-sponsored “Rink of Dreams” attracts a noon hour clientele. The evenings in Windsor Park now echo with the sounds of skates on ice and pucks on boards. 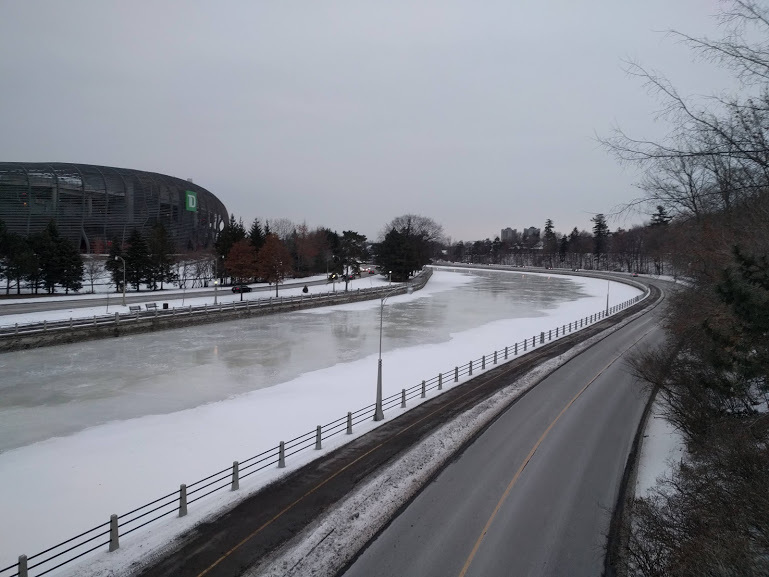 While day-by-day, the ice on the Rideau Canal grows thicker, and the crews begin to flood the surface. 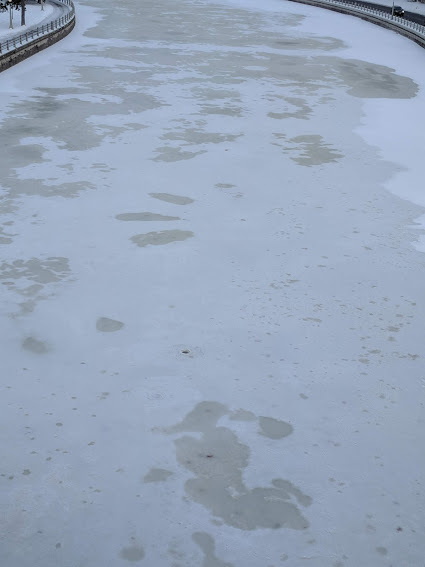 They drill holes in the ice and pump water onto the surface. When the ice is about 30 cm. thick, the Rideau Canal Skateway will open and people from around the world will come to Ottawa to enjoy the world’s largest skating rink.